Location of Simien Mountains Ethiopia. 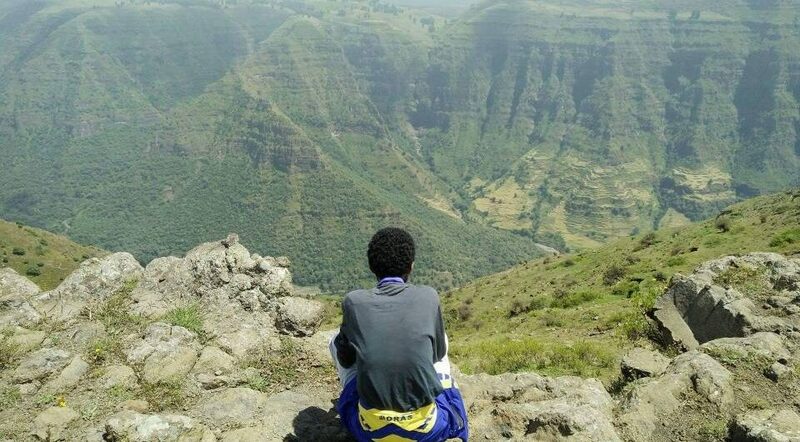 The Simien Mountain National park is located, in the Amhara regional Government state, North Gondar Zonal, 886-km distance from the capital, Addis Ababa and 123 km from Gondar 13°Nl,38°E lies between the altitudinal range of 1900 masl to 4430 masl at Bwahit in northern west of Ethiopia. 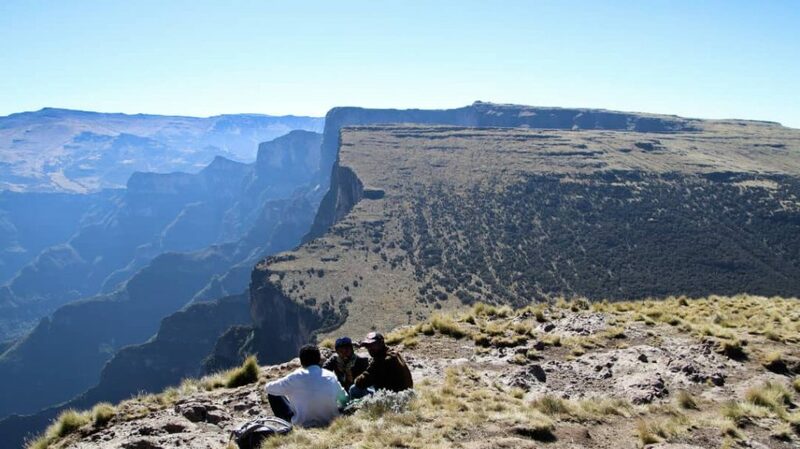 More importantly, it is also located on the northern edge of the Great Rift Valley, which passes through Ethiopia and down to Mozambique, stretching over 6000 km. The mountain nature of the park together with its surrounding high peaks gives rise to the name The Roof of Africa. The SMNP is endowed with unique landscape and endemic animals, plants found only in the Ethiopian Highlands. 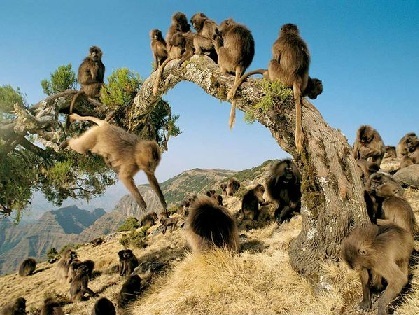 Simien Mountains – Geology of simian mountains National park Ethiopia. Geological history of the Simien Mountains was as mentioned below. The Simien Mountain were formed lava outpouring In the Miocene and Oligocene geological periods. These trap lavas covered all the pervious rock formation and the type of volcanic activates were like the ͑͑Hawaiian҆҆ type /found in china/ and spread over a wide area everything about 15,000 km² or more. These trap lavas hardened slowly forming a profile with gently sloping side like the Hawaiian volcanoes. 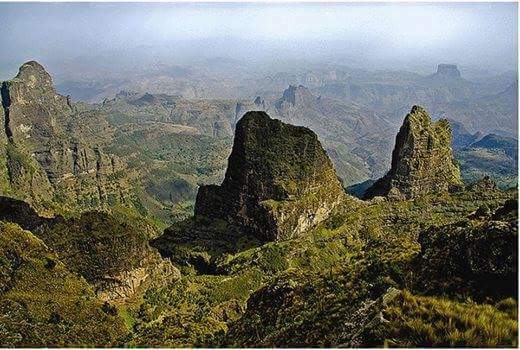 Climate of Simien Mountains National park Ethiopia. The Climatic of SMNP is dependent on great altitudinal variation and mountains landscape categorized by6 wet, cool, and cold seasons. 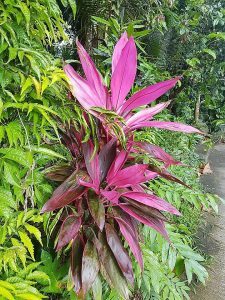 These climatic conditions are traditionally classified in four major climate zones as Woina Dega (1900-2400masl sub tropical climate) Dega (2400-3400masl temperate climate) High Dega (3400-3700masl cool climate) Wurch zone (>3700masl alpine). Simien Mountains Natinal park- Wildlife in the Simien Mountains. There are 22 large mammals, 13 small mammals and 182 bird species currently living in the mountains, of which 3 large mammals, 8 small mammals and 6 bird species are endemic to Ethiopia. Gelada baboon in Simien National park. Walia ibex in Simien Mountains. The Walia Ibex is found solely in the Simien Mountains, usually between 2,500 and 3,000m. They tend to live in groups and they forage in open spaces. The first record of the Walia was in 1835 by the explorer Rupell. Local legend states that the Walia came to the park with the saint Kidus Yared who used them to carry his holy books. 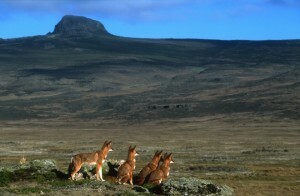 Ethiopian wolf in Simien Mountains National park. The Ethiopian wolf is one of the rarest animals in the world. It is also Africa`s most threatened carnivore. The closet living relatives of the Ethiopian wolf are grey wolves and coyotes. The Ethiopian wolf ancestor crossed over from Eurasia during the Pleistocene period about 100,000 years ago, when sea levels were lower and Africa / the Middle East were connected. Well known bird species include: Watt led libs (bostrychia carunculata) The thick -billed raven (corves crassirostris) The tawny eagle (Aquila rapax). Bearded vultures (Gypaetus barbatus). Plant composition diversity refers tovegetation richness of the SMNP. 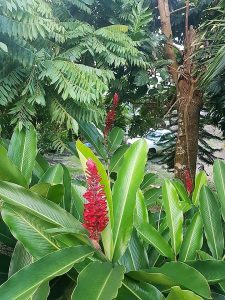 Morethan 1,200 plant species with diversifiedfloristic composition in wide range ofaltitudes are believed exist in SMNP.About 507 species are identified and described of which about 57 tree speciesare identified in and around SMNP andover 20 plant species estimated areendangered. Out of 52 species of grasses10 are endemic to Ethiopia and only 3 areendemic to the Simien. The type of rainfall in the park area is characterized as 1 long eight month rainy season and a ideal hiking condition four-month dry season. The big rains begin in June and last through to September, after decreases with sporadic rainfall and fog. In the SMNP there is a relationship between rainfall and altitude. Rain increases with altitude up to 3,500-m altitude and begins to fall again. This is because the condensation usually fails to ascend up to the highest peak. 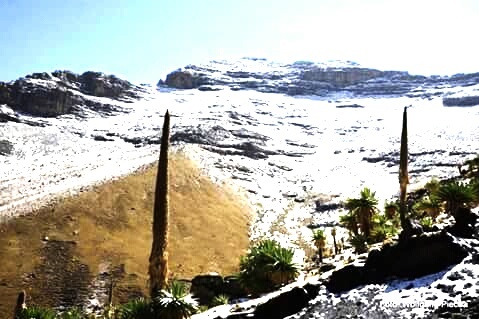 dry season temperatures can drop as low as -30°C at night at the higher altitudes with occasional snowfalls. Between June and late September is considered rainy season in Ethiopia. 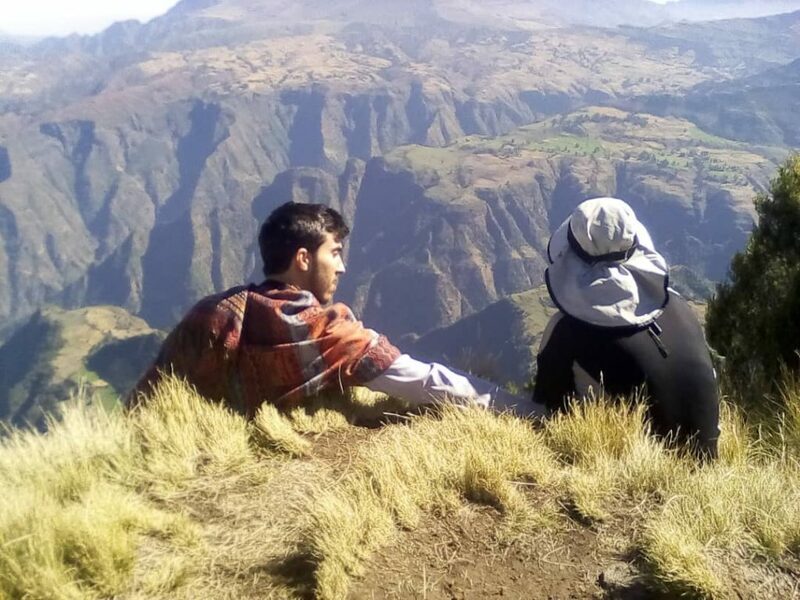 What to bring whilst traveling in Simien Mountains. 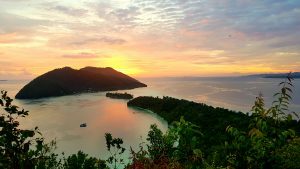 Stunning and unspoiled, the Seychelles star in countless tropical island fantasies. 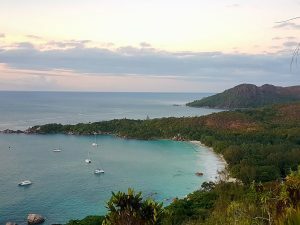 This much is clear: there is so much more to the Seychelles than its exquisite beaches. It is not just a travel destination for sunbathing and lounging around. 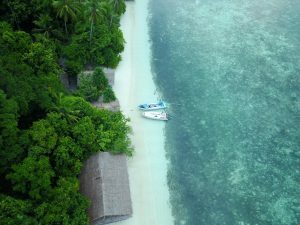 The magic of these Indian Ocean islands is multifaceted: the lush tropical vegetation, the exceptional flora and fauna, the friendly, fun-loving people that make a trip to this archipelago off the African coast an unforgettable experience. 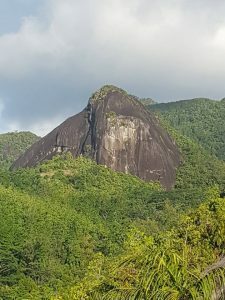 The cool mountains of Morne Seychellois National Park are great for walks. 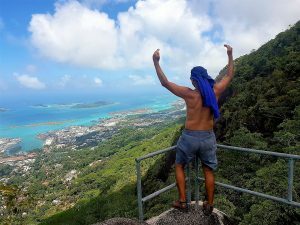 The largest national park in the Seychelles, Morne Seychellois National Park covers more than 20 percent of the area of Mahé. Visit the smallest capital in the World for taste of urban life and an insight into local history and culture. Discover the wonders of the deep at numerous dive sites around the islands. 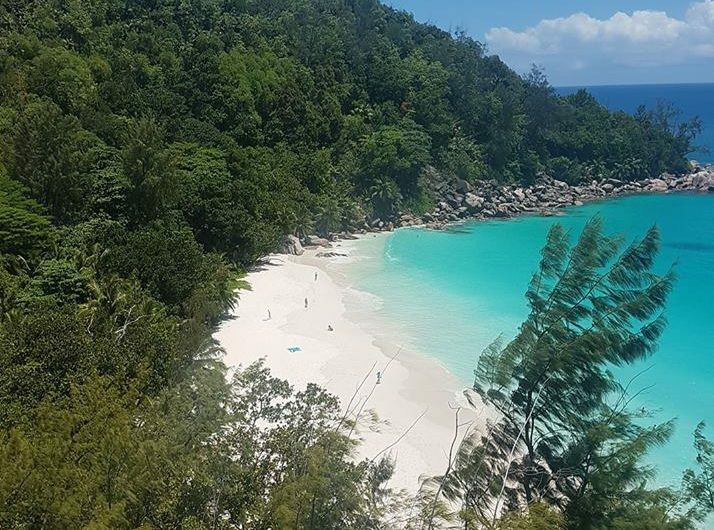 There are many perfect beaches in Seychelles. 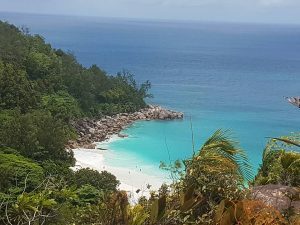 Anse Source D`Argent on La Digue has often been voted `the best beach in the world. 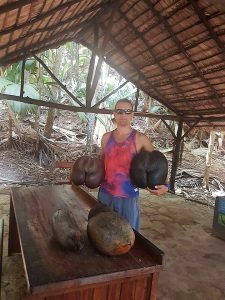 All tortoises found in the Seychelles are Aldabra Giant Tortoises which is one of the largest species in the world. Abisko National Park is listed as one of the Natural Wonders you must see before you die! Lappland in northern Sweden is home to a number of spectacular national parks, the most scenic of these being Abisko National Park. Framed by mountain ranges in the south and west, and the waters of Torneträsk Lake in the north, the low-lying valley of Abisko National Park is a wonder to behold. The arctic light dances over the glistening Abiskojokka River which runs through the park, and deep canyons with steep cliff walls reveal the area’s violent geological past. The best view in Lappland is from Abisko National Park. Visitors can also take a cable car to the top of Mount Njulla, where there is a beautiful view of Torneträsk Lake and the Lapp Gate. Plant life thrives on the lime-rich rock, and the park is host to a number of rare plants—the Lapp orchid, for example, is a protected flower and grows nowhere else in the country. Martins, stoats, lemmings, and elks wander the wilds of the park, and many small species of bird, such as the arctic warbler, circle its skies. 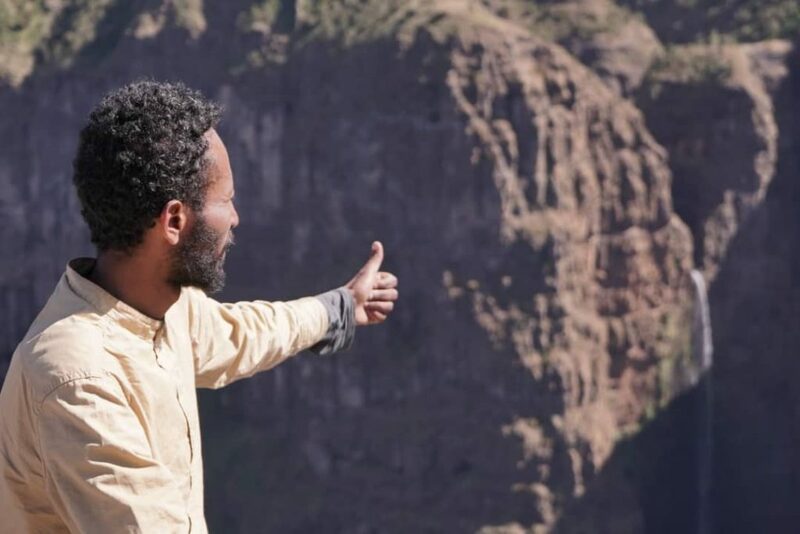 Hike to the so-called `Roof of Africa` wandering atop the edge of escarpments that plummet hundreds of meters into the Ethiopian plains, providing a shield for creatures seen almost nowhere else on earth walk here before the rest of the world discovers the simiens. 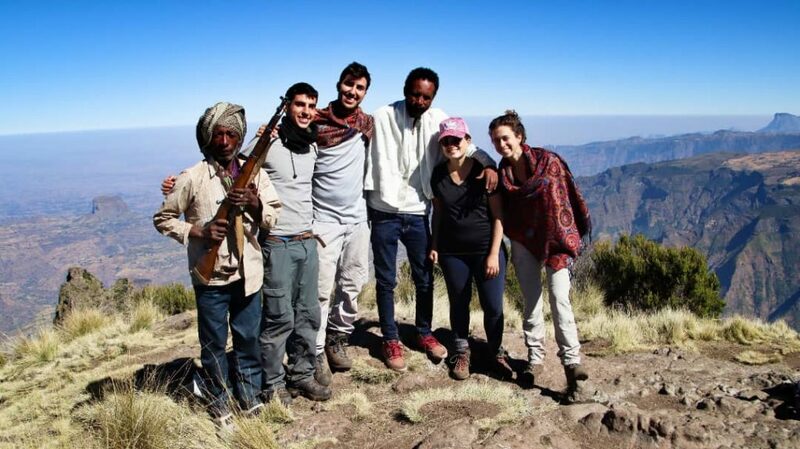 Topping out at 4559m, Ethiopia`s Simien Mountains are among the highest and finest of Africa`s mountain ranges. Towering out of patchwork agricultural plains studded with craggy peaks, the range is framed by massive escarpments. Standing at their edge, as you will most of the time when hiking here, you`ll agree the views are equal of any in the world. Treks here isn`t just about the stupendous views. The simian Mountains National Park is a living, bustling landscape, inhabited by around 15,000 people. Villagers till weary slopes, shepherds roam the plateau, and village children sprint from homes to greet trekkers. Among them- often grazing right beside the goats- is a host of wildlife so special that, in 1978, the Simien Mountains were included the first selection of sites to be granted World Heritage status. Most commonly seen are the gelada baboons, the world`s only grass-eating primates; the colouring on their chest gives them the nickname of `bleeding-heart baboon`. Walia ibex cling to impossible slopes, and the call of the Ethiopian wolf might be heard on the slopes of Ras Dashen, through the coyote-sized, fox-coloured dog-the world`s rarest canid-is rarely seen. Altitude sickness is less a problem in the Simien than in many equivalent ranges, with camps spaced at intervals aiding acclimatisation. 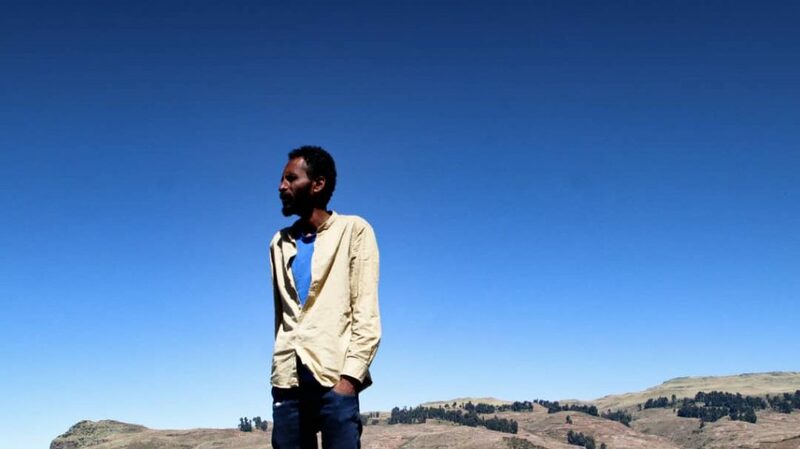 This gives trekkers a good chance of summiting Ras Dashen, scrambling its final escarpment to soak in a view that rewards all of the effort in getting here. The Bleeding-Heart Baboon: The gelada baboon is one of the Ethiopia`s most fascinating endemic animals. In fact, not a baboon at all. It takes up its own genus of monkey. Of all the nonhuman primates. It`s by far the most dexterous. It also lives in the largest social groups (up to 800 individuals in a group have been recorded), is the only primate that feeds on the grass, and has its `mating skin` on its chest and not on its bottom- a convenient adaptation, given that it spends most of its time sitting. This bare patch of skin has given rise to the gelada`s another popular name: the bleeding-heart baboon. The success of your trip depends heavily on the level of preparation. 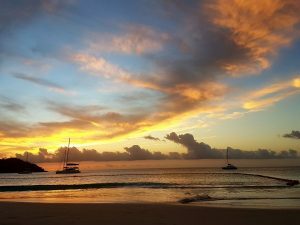 Madagascar is a wonderful destination for travellers who take the time to prepare& organise their trip well in advance. TOURIST VISA is paying and can be obtained at Malagasy Consulates, or upon arrival to Madagascar, at customs. Indicative visa fee 35€/person, subject to change by authorities without prior notice. At least one blank page required in the passport for the visa. 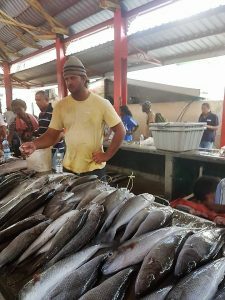 In Madagascar, IMMIGRATION issues are restrictive and may be amended by authorities without prior notice. Therefore, please kindly double-check all the conditions well in advance before departure. 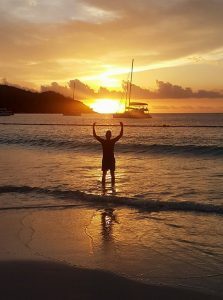 A good travel insurance especially ensures your care in an emergency or unexpected situations such as health problems, accidents, cancellations, etc. Malagasy health facilities do not meet international standards. Therefore, medical evacuation to Mauritius, Reunion or South Africa is absolutely necessary in case of medical emergency. Therefore, we strongly recommend that you subscribe to adequate travel insurance before departure. Travel insurance protects you while giving you financial security and assisting you in case of emergency. Generally, we recommend that you have a medical consultation before your departure for health issues related to your stay in Madagascar and in particular on the issue of malaria. Please make sure that you update your vaccines, including diphtheria, tetanus, polio, typhoid fever, viral hepatitis A and B. We also recommend you bring along your own medication to relieve minor inconveniences associated with travel. Similarly, if you follow a specific treatment, it is important to plan your treatment during your stay. It is strongly recommended that you drink only bottled water during your stay (including for brushing your teeth), and eat only in restaurants recommended by your guide. Drink enough water to prevent dehydration and fatigue. Remember to bring insect repellent and wear adequate clothing against mosquito bites. Please make sure you protect yourself and your children from direct sunshine and dehydration. Sunscreens with high sun protection are also vital. Madagascar is a peaceful country with a nice, smiling and hospitable population. However, we must not forget that Madagascar is among the poorest countries on the planet. 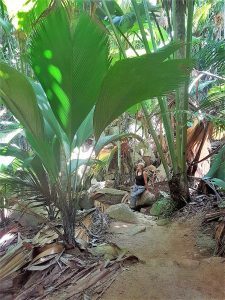 For a pleasant stay in Madagascar, simple safety measures and basic rules and common sense apply to all travellers. 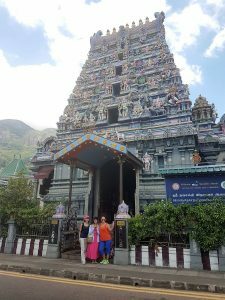 While we travel around the world, we owe respect to other populations, cultures & customs. Let us not forget that tolerance and smiles open doors and make our world a better place. In general, the climate in Madagascar is characterised by a dry season that runs from April to October and a rainy season from November to March. However, significant variations across regions are noteworthy: more moisture to the east, with a shorter dry season, and on the contrary a dry period with significantly prolonged heat waves in the south. Tropical storms and heavy rain may occur between November and March. Protection from sunshine, rain, cold and wind has to be taken into consideration while you pack. Please include a pair of good walking shoes to discover the national parks. 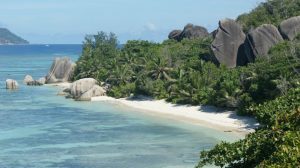 Madagascar is one of the last paradises on earth resisting to the invasion of modernity and still offers opportunities for extra-ordinary travelling conditions. 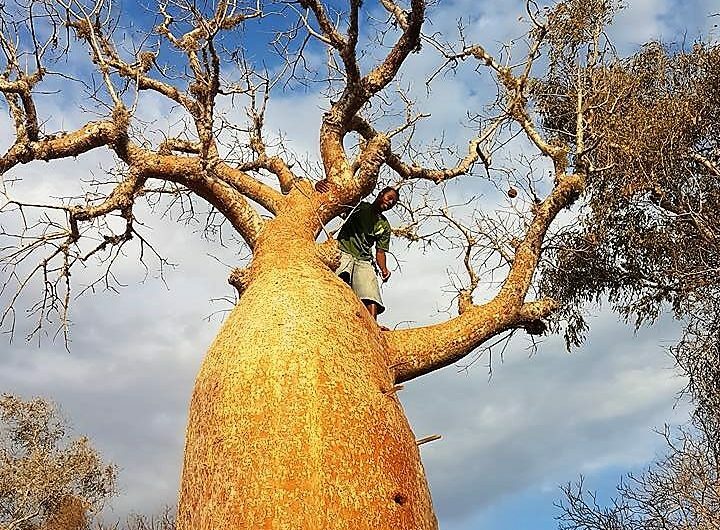 Please kindly be advised that most accommodation options in the bush of Madagascar are often cut off from electricity & water networks and work on own power supply generators (solar or conventional). Often, bush hotels run on generator supply rationed in the day and into the night. In general, the generator is off from 22h on, after the guests return to their rooms after dinner. Similarly, the hot water may not be available throughout the hotel network. Whatever itinerary you choose, we highly recommend you to bring your own torch lights to anticipate potential power cuts that can occur at any time on your route, in the bush as well as in the urban areas. We strongly recommend that you bring a good pair of comfortable & robust walking/trekking shoes (solid sole to protect against falls, slippery collars and sharp stones), a headlamp/torch, a raincoat, a fleece jacket (depending on season and location), light and covering clothes (to protect you from cold, sun, scratches, insect bites, etc. ), as well as hats and sunglasses. Nights can be fresh/cold in the bush and/or by the seaside, please include some warm clothes. A backpack is necessary to bring along with you your water bottle, camera, some cash money, sunscreen, raincoat/pullover and a small first aid kit to disinfect and treat minor injuries during the visit. In some national parks, it is possible to swim in natural pools and / or waterfalls. We suggest you to inquire at your hotel reception before leaving the park to provide the necessary equipment for swimming. Please also include your own mask and snorkel to enjoy marine reserves on your itinerary. On board of Air Madagascar domestic flights, luggage allowance is limited to ONE PIECE per person not exceeding 20 kg, and 5 kg cabin luggage per passenger. Respect this weight limit to avoid extra luggage fees. We highly recommend flexible and robust rolling travel bags, with security lock. Please try to avoid rigid, heavy and voluminous suitcases. Soft travel bags are easier to handle for road & boat transport. The local monetary unit is the Ariary (MGA or Ar), which in 2005 replaced the Malagasy franc (FMG). It happens very often that prices are given in Malagasy francs, ask precisely to avoid misunderstandings: note 1 MGA = 5 FMG. While travelling in the country, make sure you bring some cash to exchange upon arrival and a package of small change between two cities. In the bush, you can only pay in cash except in important hotels where VISA card is widely accepted. Important: In Madagascar, VISA is more widely accepted than MASTER. AMEX is not at all common. Commissions vary from one place to another. There are ATMs and Exchange Offices in all major cities. The eventual settlement of hotel extrasby card as well as cash with drawls are subject to commissions and charges ranging from 5 to 8%. Please contact your bank for detailed information. You can give a tip if you are really satisfied with the service. In restaurants, it is customary to leave 5 % service charge, but it is at your discretion. If you rent a car with a driver, you can give a tip of few Euros per day (about 5 € per day). Various mobile operators provide communication & Internet services in Madagascar. It is possible to buy a prepaid SIM card from one of the operators and use the national network configuration if your phone allows. European / French type of sockets are in used, with 220 V powers, when available. Power cuts are very widely experienced in major cities. There is mostly no power network in the bush and most hotels run on power generators or solar panels. Power generators run mostly until 10 or 11 p.m. in case of solar power, please do not use electric hair dryers. Please kindly ask information and assistance at the reception of each hotel. We strongly recommend you bring a headlight or torchlight with enough spare battery per person for night use in bush hotels. The Aurora Borealis or the Northern Lights is one of the spectacular phenomena that fascinates many minds. A collision between gas and particles of sunlight entering the earth’s atmosphere is undoubtedly both alluring and a bizarre occurrence on the earth. The various shades of emerald dancing with bold streaks of green stretches clear across the whole sky will forever etch into your memory. However, the beauty of it can only be seen around the magnetic poles on the extreme northern and southern hemispheres. One of the most astounding track records for aurora sightings is in Abisko, Sweden. Home to Abisko National Park and the “Blue Hole” – a hole in the sky that is without clouds, appointed by NASA to be the best place to view the northern lights. Being part of the Arctic Circle, Abisko is a village situated in the northern region of Sweden. Even when the weather isn’t the most optimal for aurora sightings, Aurora Sky Station in Abisko proves to have good track records of 83% in the evenings for clear and pure aurora sighting, yielding extraordinary numbers of clear nights in comparison to many other Arctic places. The hidden tuck away gem nestled in the mountains of Nuolja frees Abisko from light pollution present an ideal place to capture the beauty of northern lights with the stunning mountainous landscape as your backdrop. Below the village of Abisko is the 70 km long Lake Torneträsk giving you a magnificent view beneath. On top of that, is the most recognisable sighting of Lapporten, a U-shaped valley visible from Abisko making your trip more pronounce. A perfect picture of Abisko encompassed by Arctic mountain overlooking Lake Torneträsk surrounded by the northern lights above, what more can you ask for? 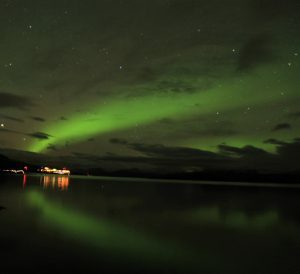 It is utterly and sheer ultimate northern light experience that is unforgettable.